Across 22 movies in the Marvel Cinematic Universe (up to Avengers 4) there has been one director who is a woman: Anna Boden, who is directing Captain Marvel with Ryan Fleck. 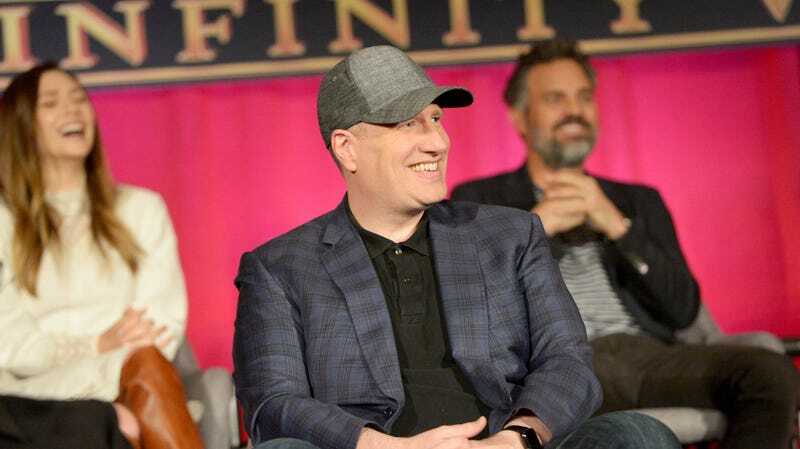 Speaking at the Producers Guild of America’s Produced By Conference recently (via Deadline), Marvel Studios head Kevin Feige claimed that the company will be better about that in the future, which is a good strategy for Feige to take since it would be pretty difficult to hire fewer female directors. “I cannot promise that [the next] 20 Marvel movies will have female directors,” Feige said, “but a heck of a lot of them will.” He also noted that Hollywood agencies are now sending more women to Marvel to meet for directing jobs than men, so it seems like the industry in general is trying to force Feige and Marvel Studios to be better about diversity. Unfortunately, Feige is still refusing to say anything concrete about Marvel’s plans for after Avengers 4, so we don’t know what movies these female directors might be making (other than maybe The Eternals or that all-female team-up movie that Feige won’t commit to).